These 1.75″ tube clamps make it easy to attach a variety of lighting, mirrors, or other items to the 1.75″ side, cage, and roll bar tubes of the Exocet. 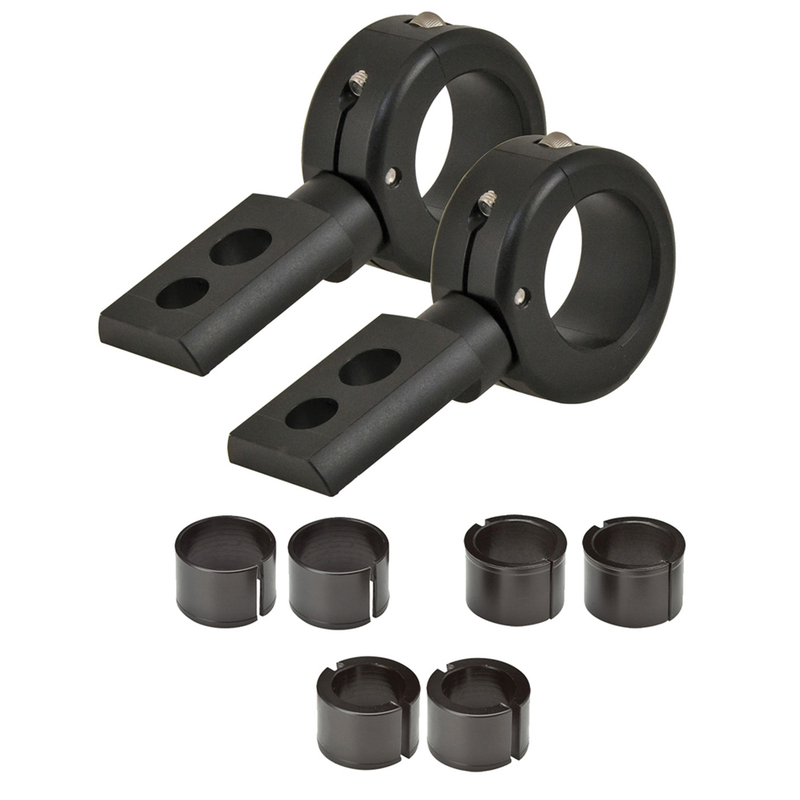 These 360 degree tube mounting brackets are a fantastic way to mount lighting, mirrors, or other accessories to your Exocet using the 1.75″ diameter side tubes. Machined from billet aluminum and powder coated for durability, these mounts will look great on your Exocet for years to come. Includes inserts to fit 1-1/2″ and 1-3/4″ tube diameters. Sold by the pair.